Searching for their third conference victory against Washington State (11-16, 3-12), it seemed as if the Bears could do no wrong. 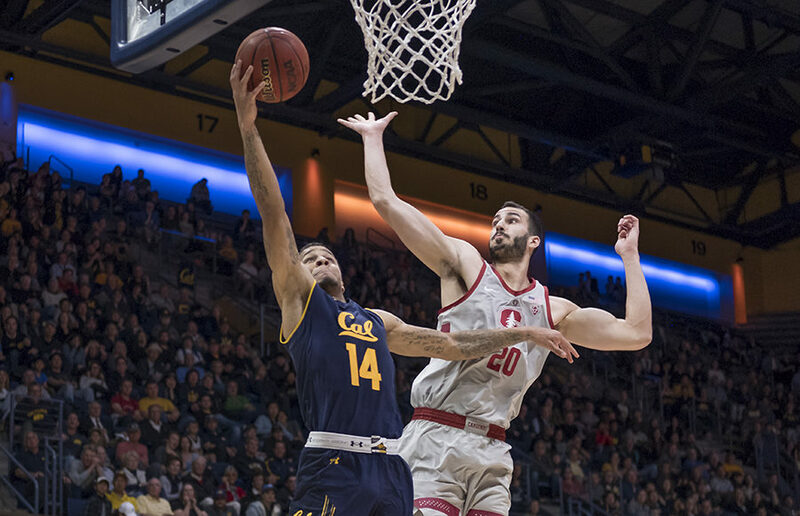 Ignoring some trip-ups in the first half, the Cal men’s basketball team (8-20, 2-13) was playing smart on offense and tough on defense, a rare sight for a team that has had such an atrocious season. In a heartbreaking ending, the Cougars had the last word and stole the lead, winning 78-76. The Bears opened the game on an 8-1 run, impressively keeping the Cougars off the scoresheet by playing aggressive defense. It only took about five minutes, however, for Washington State to settle in and take the lead. In the remainder of the first half, Cal was caught flat-footed on defense multiple times, allowing the Cougars to rack up a handful of uncontested field goals. Despite the numerous mistakes, including a combined total of 12 turnovers, the Bears kept the game close and Washington State held just a 2-point lead at halftime, 38-36. 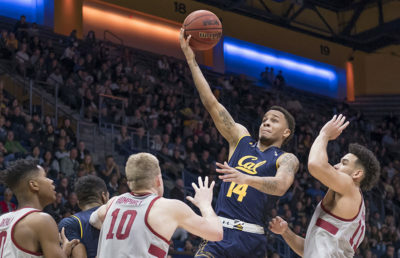 The second half saw fewer mistakes by Cal, and the Cougars’ lead never surpassed 8 points. Unwilling to surrender, the Bears managed to take the lead with less than nine minutes remaining in the game. The lead bounced back and forth as the clock ticked down, with neither team establishing a sense of dominance on the court. Cal took the lead with less than a minute remaining, but lost it with 24 seconds left. The Bears gave up a layup with two seconds to go, putting them behind and without enough time to equalize. 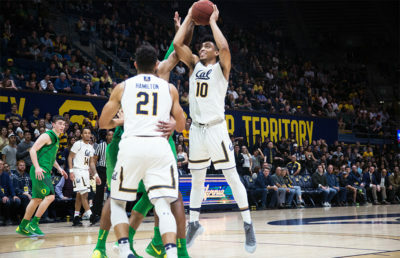 Cal’s underclassmen made a considerable impact on the court tonight. Freshman Justice Sueing was on fire, leading the team with 25 points, while sophomore Roman Davis posted a career-high 15 points and six rebounds. Freshman Juhwan Harris-Dyson had a career-high seven assists along with 10 points. The Bears saw four players hit double digits for points, a positive change from its usual few leaders. Senior Marcus Lee was perfect on field goals, making 7 of 7. Senior Kingsley Okoroh and junior Don Coleman, however, had unfavorable games, combining for 3 points and one assist. The Cougars did not live up to their 3-pointer statistics, only making 9 of 22 attempts. Washington State starter sophomore Carter Skaggs was knocked out of the game with a little less than a minute remaining in the first half because of an ankle injury, and did not return after halftime. Cal’s next match is Saturday against Washington (18-9, 8-6) — the team’s Senior Night. The pair of teams first met this season in January, as the Huskies overpowered the Bears, 66-56. 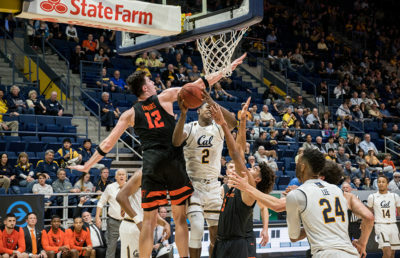 Sueing led the Bears on offense, scoring a career-high 27 points, but he couldn’t outpace the Washington duo of freshman Jaylen Nowell and junior Noah Dickerson, who combined for 32 points. Cal faded in the second half as Coleman fouled out with almost 13 minutes left in the game. Since its win against the Bears, the Huskies have had their ups and downs. They are currently sitting comfortably at fifth place in the conference, with their last few opponents all below them. Sitting on the bubble of a March Madness bid, Washington cannot afford a let down this late in the season. Nowell continues to lead the Huskies in points, averaging 16 per game, while Dickerson leads in rebounds, averaging 8.3 per game and placing third in the Pac-12. Washington is the only team ahead of Cal in the Pac-12 in blocked shots, averaging 5.1 per game. It also dominates in steals, averaging 8.4 per game, thanks to junior Matisse Thybulle, who leads the team with three per game.